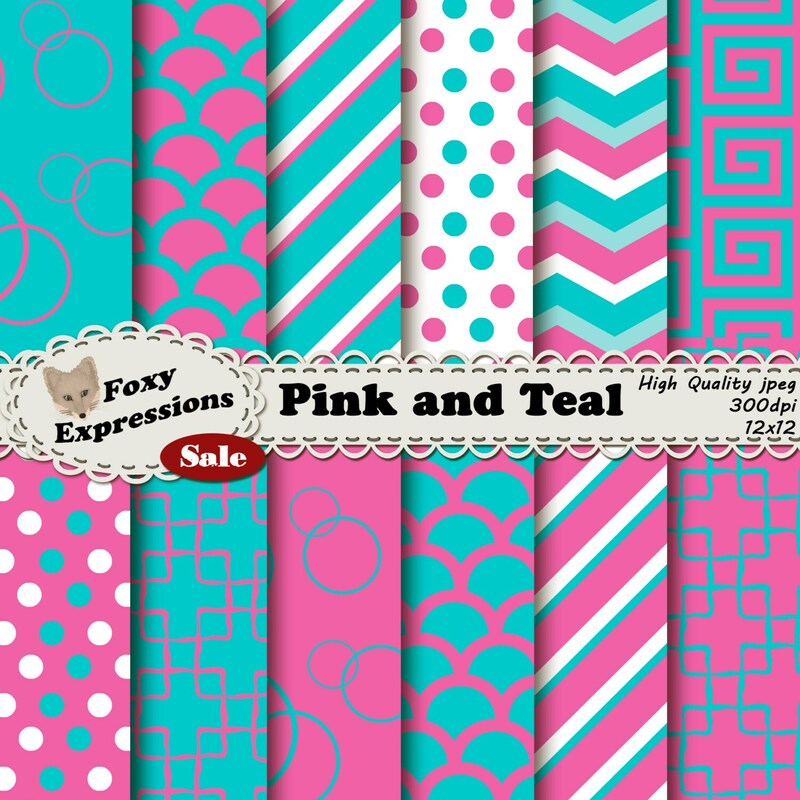 Pink and Teal comes together beautifully in stripes, chevrons, polka dots, damasks, scales, and bubbles for personal or commercial use. 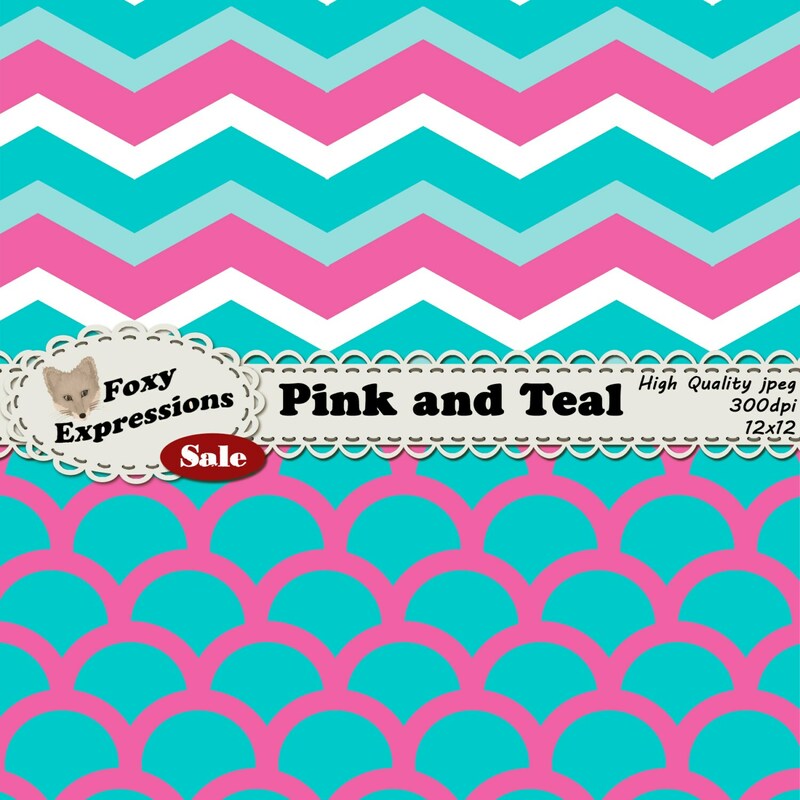 Pink and teal pack comes in shades of pink and teal. 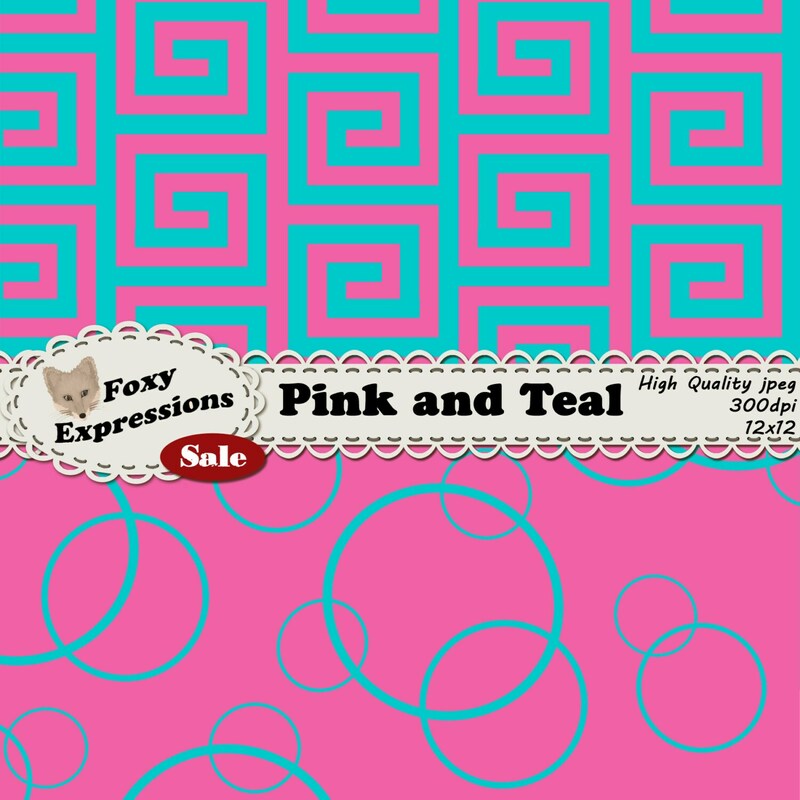 Designs included are stripes, chevrons, polka dots, damasks, scales, and bubbles.